KAREL MEULEMANS, ARENDONK……the legacy of a fantastic strain that concurred the world, still to be found in the stocklofts of Herman and Dennis Beverdam in Enter. It started in 1976, when Herman Beverdam visited the stockloft of Karel Meulemans and Frans Marien and handled the fantastic “GOLDEN PAIR”, B67-6729926, “THE VAN DEN BOSCH” and B66-6122023, the “BLAUW JANSSEN”. A brilliant combination that was put together by the late ADRIAAN WOUTERS the SUPER CHAMPION RACER in ARENDONK and KAREL MEULEMANS, the owner of the VAN DEN BOSCH, when was decided to have all the stockbirds in Meulemans loft and the racing would take place in Adriaan Wouters loft. 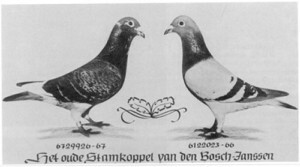 It was in 1989, the first year that this unique pair was put together, when B69-6653841 was bred from it. His name would become “MERCKX”! He won 6 firsts as a yearling and from 1971 untill 1974 he won from Quievrain: 1, 2, 24, 2, 6, 16, 2, 1. From Noyon: 2, 5, 2, 6, 9, 15, 2, 25, 12, 1, 16, 2, 1, 45. From Corbeil he scored 44, 2, 35, 17, 147, 1, 15, 287, 1, 4. From Dourdan 27, 718, 60, 4. From Montargis 6, 6, 2. From Etampes 13, 147, 188 and from Orleans 4th place, all prizes without doubles! He was also NATIONAL ACE PIGEON MIDDLE DISTANCE and represented Belgium at the Olympiad in Budapest 1975. From 1976 onwards Herman Beverdam got only from the very best of Karel Meulemans, including son and daughters of the famous “GOLDEN PAIR”. 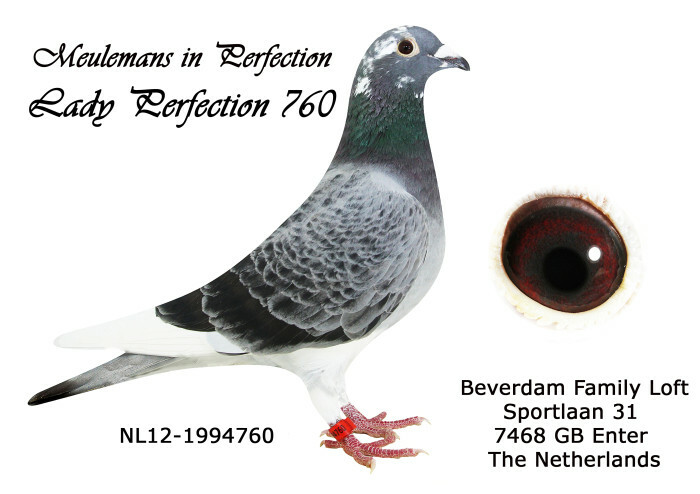 The best son of the “GOLDEN PAIR” was “GOUDEN WITNEUS” or “GENOPTE WITPEN”, B75-6758680, international regarded as one of the best producers of the “GOLDEN PAIR”! The new generation of the Meulemans family are as good and impressive as their ancesters and they are now producing the winners, champions and superproducers in Enter. 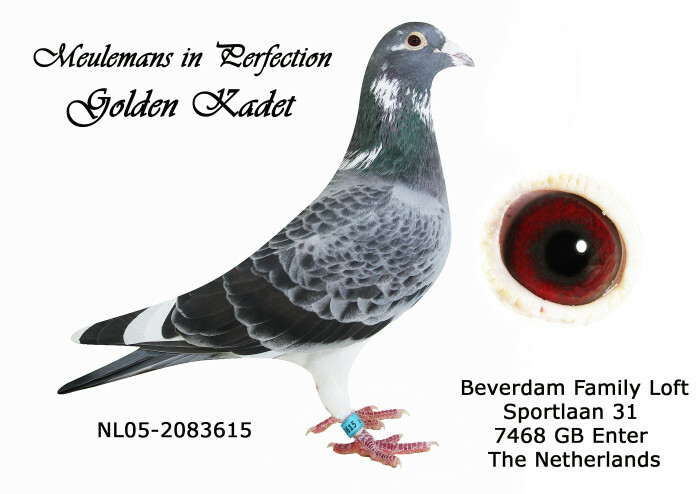 Sire is NL97-2607133, SUPER KADET, sensational producer of champion producers world wide and son of NL90-1790062, PRINS KADET and B91-6231567, daughter BENJAMIN, last son GOLDEN PAIR of Karel Meulemans.